Creative Machines — Best of Instagram! Creative Machines did a great job of collecting shots of their work from Instagram! We love their work! Here are some examples…. As a tip of the hat to David Letterman, Tango Commercial Real Estate has established a “Top Ten” list of commercial real estate myths. We will be revealing one new myth every week for the next 10 weeks. We don’t want you looking like the poor guy in the picture above! Hire a broker! What do you think Myth #9 will be? Let us know! It will be interesting to see what impact this revolutionary technology will have on commercial real estate. Will there be more data centers? Will office space go the way of the buggy whip or will there be more co-working concepts such as WeWorkWeWork ? What types of pervasive computing applications and internet of things will be deployed using the additional bandwidth available? 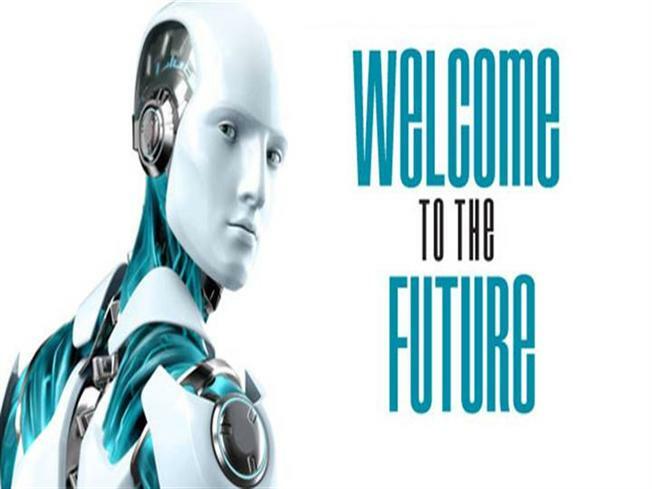 Will this be a revolutionary technology that the Tucson business community will leverage? Here’s an interesting read from CB Insights about Venture Capital. The article provides a variety of information about attrition, funding rounds and unicorns. Basically, you have to invest in a boatload of companies in order to hit a “home run”! But hey, it is more fun and rewarding than going to casinos or owning thoroughbred race horses! Check out the competing companies at Venture Madness. Great energy, lots of innovative business concepts with considerable upside potential. Needless to say, things are hopping in Arizona! It is very interesting to see how many Tucson companies participated — NONE! Given our talk and hype about entrepreneurship you’d think we’d have a presence. Par for the course! But wait!!!! There’s more!!!!! According to Bloomberg Markets “Most Innovative States” rankings for 2016, Arizona has jumped 4 spots to #15 in the country. 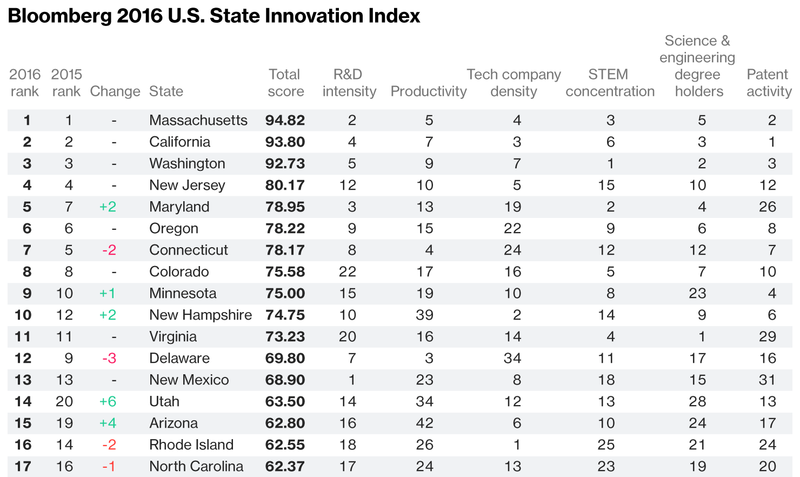 Individual category rankings position Arizona at #6 in Tech Company Density and #10 in STEM Concentration. Where does Tucson fit in this picture? Anyone? Anyone? MOXI’s Grand Opening was a Huge Success! MOXI, The Wolf Museum of Exploration + Innovation is now open! The grand opening was on February 25th and was a huge success! MOXI, The Wolf Museum of Exploration + Innovation features exhibits that inspire creativity and wonder, encouraging kids of all ages to learn new things and challenge their minds. MOXI emphasizes STEAM learning; STEAM is an educational approach to learning that uses Science, Technology, Engineering, the Arts and Mathematics as access points for guiding student inquiry, dialogue, and critical thinking. Creative Machines, one of our favorite clients, was instrumental in building and designing the exhibits….A monumental feat! Raze or Restore: What’s Really Worth Preserving? As seen in the March 2017 issue of the Trend Report…. Without a doubt, Tucson is a nice place to live. We are a cultural melting pot with a rich history, an excellent climate, scenic mountains, arguably the nation’s best Mexican food and the University of Arizona. However, we have a long way to go to become a thriving city with the corresponding economic opportunity. We’d make better progress on this front, if only we could get out of our own way. You know you’re a community in trouble when the most prominent anchor tenant in a shopping center is Goodwill, or your main users of office space are the good folks at La Frontera, Codac, COPE and El Rio. Sadly, none of these NGOs support the business community. In fact, by my observations and experience, the most underserved community in Tucson is the business community itself. Sadly, by not embracing and in some cases blocking business growth, our community has failed to create the economic environment that would prevent the endless cycle of brain drain, one which strangles on the vine any hope of growth and economic prosperity for all. I’m talking about the outmigration pattern of students who graduate from our high schools and either go to out of state schools (and don’t come back) or graduate from the U of A and leave for better opportunities in other parts of the world. This paradigm is similar to that which is experienced by poverty stricken countries such as Somalia, Venezuela and Vietnam. While Tucson is far from a third-world country, it might rank among the “world’s best” at doing the least with the most. If you have any doubt this is true, just take a look around at the blight that exists in our city. Just take a drive along Sixth Street between Euclid and Stone, or Grant Road from east of Swan all the way to the freeway. Eyesores begging for the wrecking ball include the strip mall on the southwest corner of Pima and Craycroft and the majority of buildings on Broadway between Country Club and Euclid. Did I mention Chad’s Steakhouse at Swan and Fort Lowell? Investors looking for opportunity in this city can easily locate tear downs and replace them with something to suit a true economic driver. Take what Mike Wattis did with the dilapidated 60 year old building at 222 East Fifth Street, gutting it and creating a modern new headquarters for Mister Car Wash, an industry leader creating good jobs in Tucson. Another example is Downtown Tucson which is, finally, to Tucson’s credit, showing the benefit of years (and years) of investors like Scott Stiteler and Rob Caylor cutting through red tape to create vibrant new spaces to live, work and play. I say it’s time we continue the momentum citywide by adopting a pro-business, pro-growth mentality and agenda. I grew up on a cattle ranch, my father was a prominent rancher and ranch broker, and I am a proud member of the Mountain Oyster Club (originally the Ponds Mansion). One of the most important tenets instilled in “Old Arizona” families, is the concept of highest and best use of the land and the promotion of business prosperity. Any piece of agricultural real estate is COMMERCIAL real estate, as it is generally used for economic gain. We have always been taught that if a ranch or farm would yield a better return being used as something else, it’s time to change the revenue model. For example, if you can make more money developing a property, then you better get to work on that initiative, otherwise, you are being WASTEFUL. A good example of using the land to its highest and best use is when John Murphey assembled the lands that are now known as the Catalina Foothills Estates. The main force behind Tucson’s current conundrum is the preservationist mindset that has become the pseudo prevalent culture of our community. I say “pseudo prevalent” because this small group of preservationists has done a good job of being a very loud voice that has been promoting an anti-business, anti-growth agenda at our entire community’s expense. If such preservationists had their way, Tucson would still be a Hohokam village. Today’s real estate owners, developers, city leaders and preservationists must come to a collective realization that some existing properties, while old, are worth a lot more to everyone in this community if they are repositioned—or altogether razed. If we want to truly be “preservationists” of the “old way of life,” I’d suggest we take a hard look at our predecessors and realize they were very pro-business and pro-development. If we truly wish to follow in their footsteps, I say “cowboy up,” quit wasting our valuable assets and build a business environment and community on the foundation that they left us. Only by adopting a “pro-business/development culture” will this grande dame of southern Arizona grow and prosper with class and grace that would make our forefathers proud while also leaving our fair city a legacy and tradition of evolution, growth, success and prosperity. — Thanks to Lucinda Smedly, Publisher and Editor of the Trend Report for publishing this in the March 2017 issue. — Thanks to Bob Davis, my business partner, for egging me on!